It would be the only Lodoss video game released outside of Japan. Record of Lodoss War (subtitled Advent of Cardice in Japan) was released for the Sega Dreamcast in 2001 and was the only Lodoss War game released outside of Japan. It is based on the anime of the same name which in turn was based on a series of novels which were based on a traditional RPG so it came almost full circle. If you are looking for an RPG for your Dreamcast then this is a good one to have. It’s a pretty good game, still relatively affordable, and you won’t find any other officially released English language games based on Lodoss. 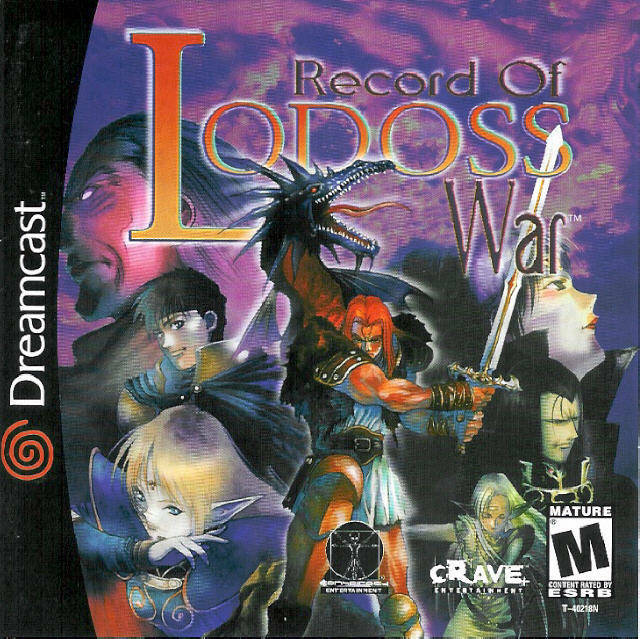 Above is the cover of the North American release of Record of Lodoss War for the Sega Dreamcast.